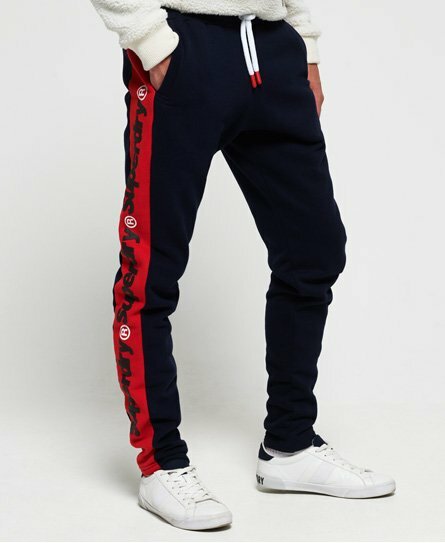 Superdry men's Trophy Micro joggers. Combining style and comfort these joggers feature a drawstring adjustable waist and two front pockets. The joggers are completed with contrasting colour panels along both side seams and Superdry logos.